At LJB we love a good healthy lunch. As I’ve said before, I usually eat a small breakfast and a small dinner, but lunch… lunch is my main meal of the day, so it better be a good one. This is one of my favorite things to have for lunch. So many yummy veggies, a good dose of protein, and of course the cute packaging just makes me happy when I’m eating it. 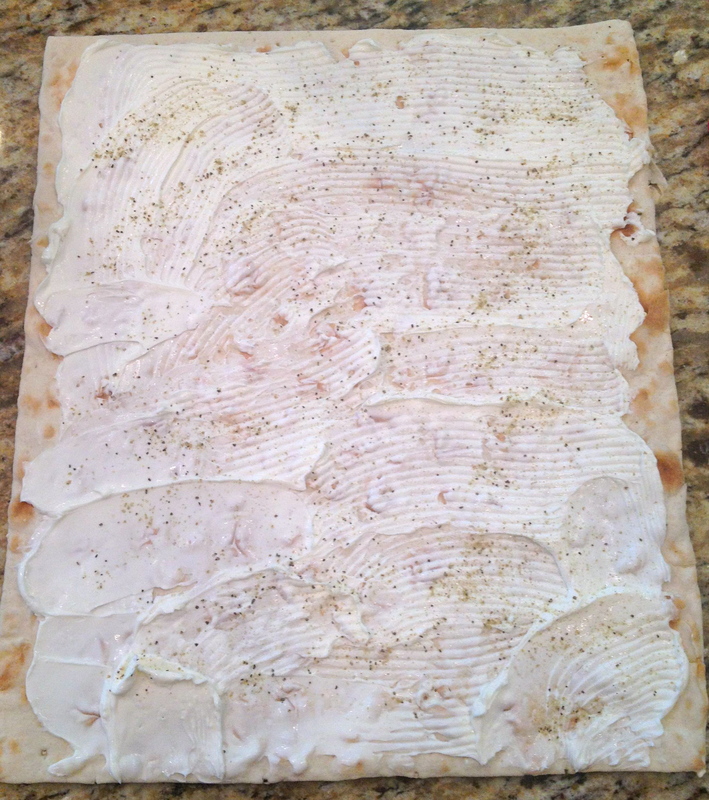 To assemble the sandwiches, lay out your lavash bread on a clean work surface. Spread each slice with 1/4 cup cream cheese. Be sure to spread the cream chesese as cloae to the top and bottom edge as you can get it. It is the binding ingredient that seals the sandwich. Sprinkle each with 1 teaspoon greek seasoning. Add 3 turkey slices to each bread slice about 1 inch from the top. Then add a sprinkling of each of the veggies below the turkey. Then start rolling. 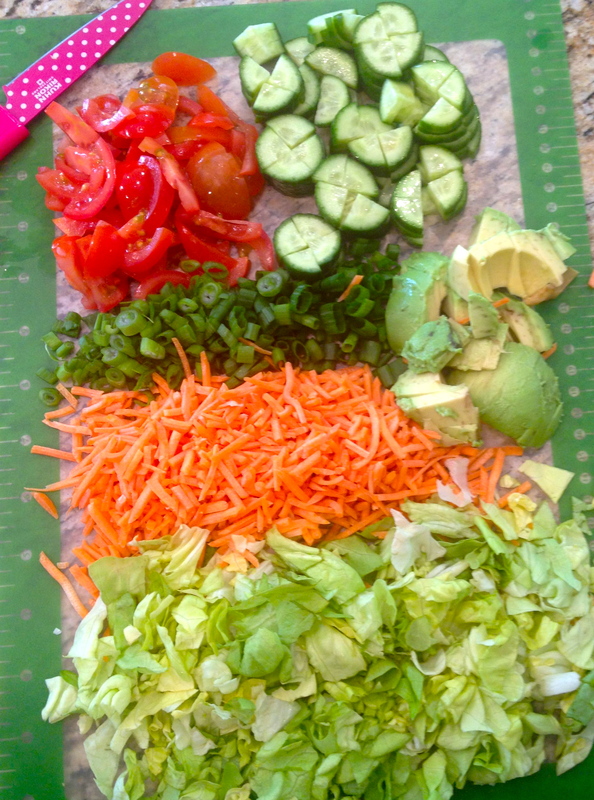 Start at the top and roll as tightly as the ingredients will allow. The ingredients may slip around a little as you roll, which is ok, as long as you have enough empty space to seal the ends. Finish the rolling, and poke 4 toothpicks into equal sections of the sandwich. 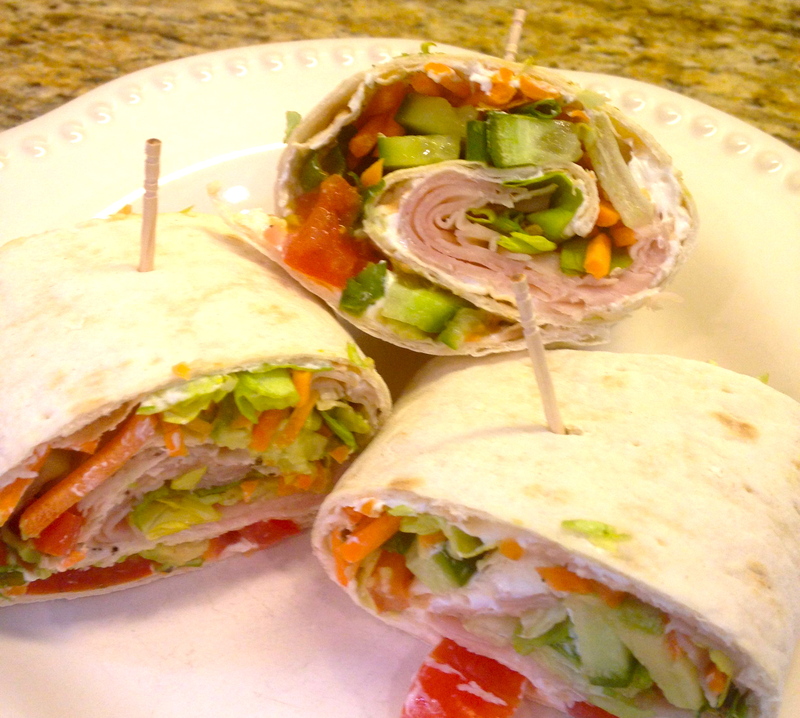 Cut between the toothpicks, creating 4 smaller pinwheel sandwiches.